An area in which my public education was deficient is Art. 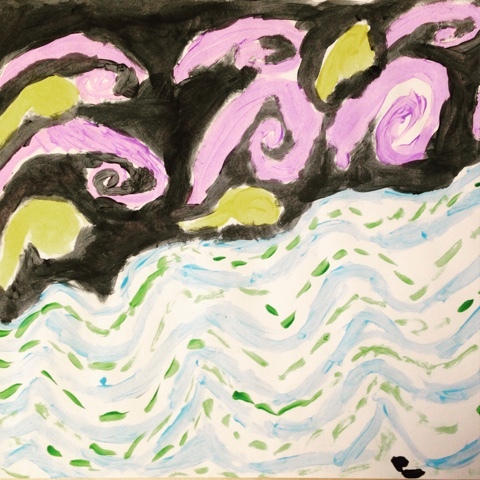 As I initially pondered how to approach art in our homeschool curriculum, I felt very inadequate for the task. That is until I attended a session at a homeschool conference a couple of years ago that discussed Art Appreciation by Picture Study the Charlotte Mason way. The approach was quite simple and gave me confidence to occasionally incorporate art appreciation in our homeschool activities. More than a year ago, we started with Vincent Van Gogh. We took time to learn about his life and viewed pictures of his works. We even got to see some of his original art at the National Gallery in London. 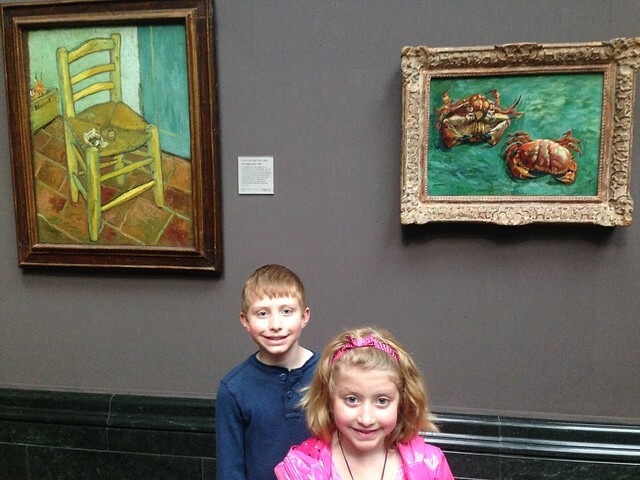 Recently, their knowledge of Van Gogh was refreshed by a session on the artist at one of our homeschool coop meetings. 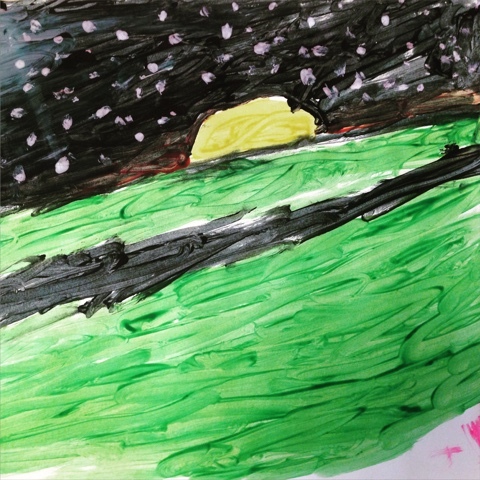 With an image of Van Gogh's Starry Night to inspire them, they painted their own. It is interesting how the personality of each child is represented.